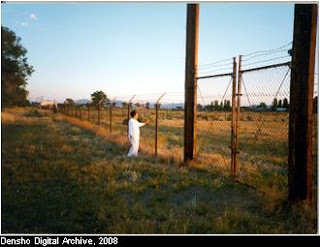 The National Monument designation ensures that the National Park Service can work to preserve the memory of the largest and most controversial WWII incarceration facility for Japanese Americans. We're grateful to the Tule Lake Committee among others for honoring this important site in the story of the mass incarceration. More details from the Conservation Fund. Two of us here at Densho have personal ties to the camp. My mother and grandfather were bullied by extremists there after my uncles got out. Geoff, our Information and Technology Director, tells us his mother was born at Tule. The family could have left before the place became a Segregation Center for the "disloyal," but they decided against moving his grandmother in her advanced pregnancy. For our Digital Archive, we've gathered many wrenching testimonies of Tule Lake. Now the site of shame for so many thousands will not fade from national memory.